M-Series Actuators are designed for use on smaller DeZURIK AWWA Butterfly Valves. The M-Series Actuator meets the requirements of AWWA C504 standards. 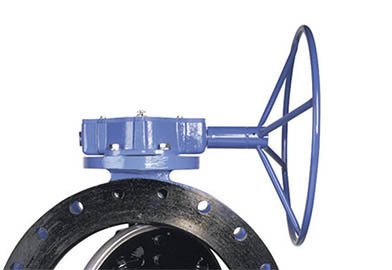 The fully enclosed scotch yoke mechanism allows the M-Series Actuator to provide a torque curve that matches the torque requirements of the valve. The thread system of the traveling nut is self-locking, maintaining disc position under varying flow conditions. Cast-iron housing in buriable or weatherproof construction. One-piece yoke machined from a ductile iron casting. Carbon steel input shaft and aluminum bronze yoke bearing. As required by AWWA C504, an input torque capability of 300 foot pounds against the open and closed position stops is standard. A 450-foot-pound capability is available as an option. Hand wheel, chain wheel or 2" (50mm) square nut options.